I saw this little groundhog walk past the patio door this afternoon. I grabbed my camera and ran outside. 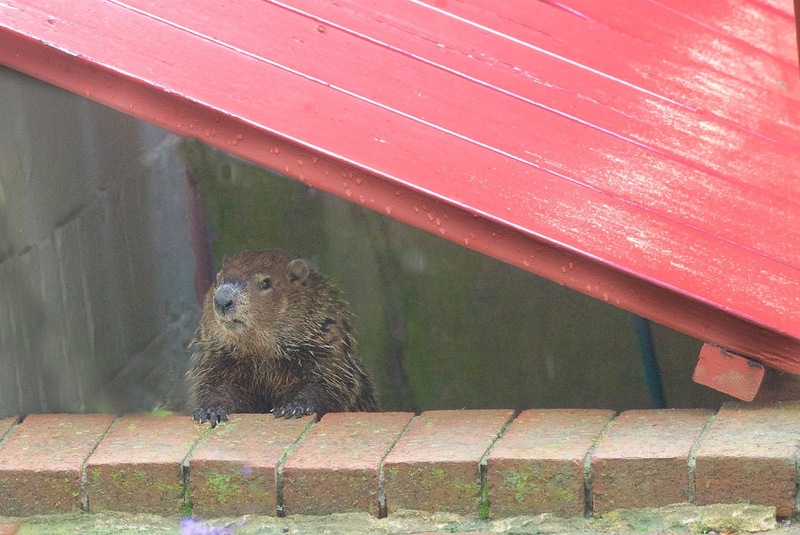 He was caught in the breezeway as the little red gate was closed. Got his head stuck between the little slats in the gate. I went over to the gate and scared him so much he pulled his head out and ran down the steps to the basement. I decided to just back up and give him some space. Talked to him for a few minutes even though I couldn't see him. Finally he came to the top of the steps, peeked out and then ran away as fast as he could. Loved having a new little visitor today.